From Orem, Utah, Kruger comes from a notable football family. Joe’s two older brothers are both NFL veterans: Paul Kruger is a veteran Defensive End and Super Bowl Champion best known for his days as a Baltimore Raven, and Dave Kruger had a stint with the Cleveland Browns. Following in his brothers footsteps, Joe Kruger was ranked as the 3rd best Defensive End prospect in the state before committing to the University of Utah. Kruger, 6’6″, 270 lbs, played 3 seasons as a Ute, finishing his college career with 69 tackles, 9 sacks, 3 forced fumbles, and 1 interception. He helped anchor the 2nd best rush defense in the PAC-12, and earned an honorable mention All-PAC-12 honors. Kruger also had a solid showing at the NFL combine, finishing 11th among DE’s with a 11.70″ broad jump and 10th with a 34.0″ vertical jump. 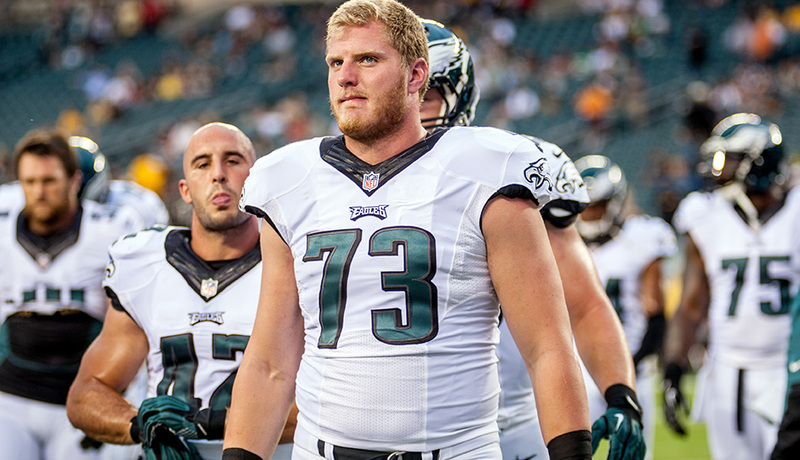 Kruger was selected in the 7th round of the 2013 NFL Draft by the Philadelphia Eagles. He has also spent time with the Chargers, Green Bay Packers, and Pittsburgh Steelers. In 2018, at age 25, Kruger will bring his imposing force, impressive size, and valuable versatility to The Spring League to prove to scouts he belongs in the NFL.